When it comes to being good at being bad, here are the metavillians that wrote the book! 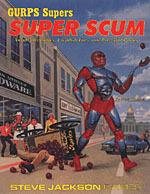 From twisted terrorists to malevolent mischief makers, from psychotic scoundrels to villainous vigilantes, GURPS Super Scum has them! Here are 64 pages of the not-so-good, the bad, and the ugly. Complete character descriptions with powers, skills, quirks, and equipment are included – and each villain is complete with two pages of background information. 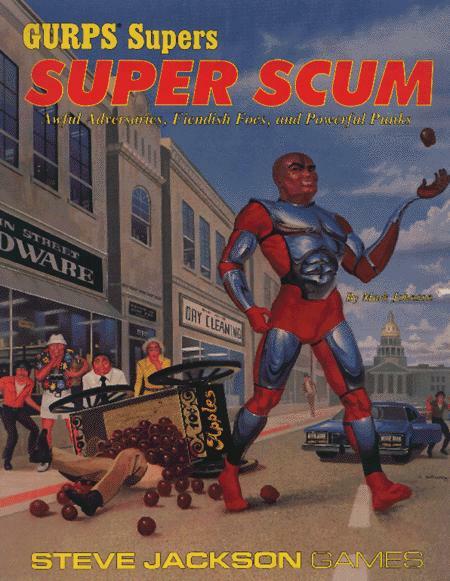 Welcome to the world of GURPS Super Scum. But watch your wallet and your back. Some of these guys aren't very nice . . .